When I started my business, I didn’t exactly have an abundance of time. I had a one year old and a 6-month old who both needed a lot of attention, and that meant I did business work by getting up early, staying up late, and working during naptime. But it went further than that too. Our extended family is all nearby (I am 1 of 6 kids), and we love the time we get to spend with them. 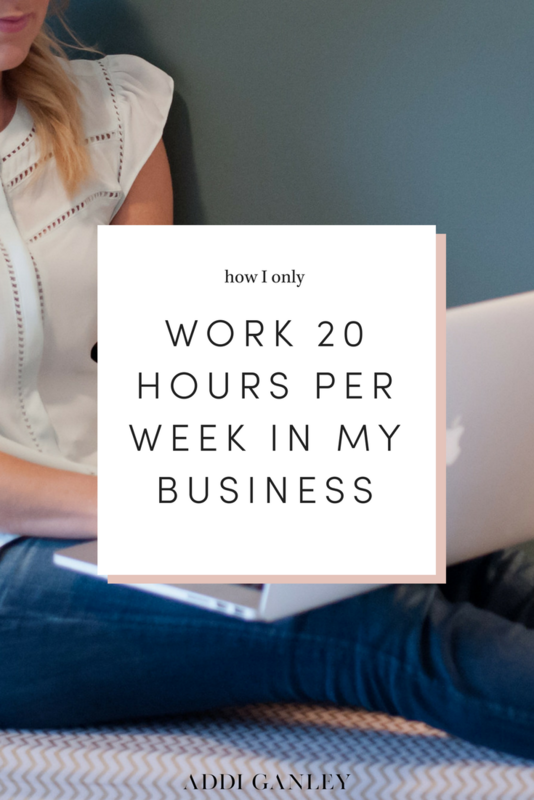 So when I decided to really get serious about making money online, I knew that I needed a way to do that without sacrificing the time I spent with my family. Today, as I balance all of that (and another boy added to my crew), I rely heavily on leveraged income streams to create revenue in my business regularly. I knew that my business needed systems that kept it going and generating income even when I wasn’t sitting at my computer -- because I honestly don’t want to do that and miss out on my boys growing up. I built a business around my family, and you can too. That’s where leveraged income comes into the picture. Today, I’m sharing a few different types of leveraged income streams that you can begin utilizing in your own business to have just as much financial success (or more) with less sacrifice. Leveraged income is all about making the most of your time and energy by selling a product or service that you can sell over and over again to maximize profit. This kind of income stream includes utilizing partnerships or creating resources that help your audience solve a problem with a product that earns revenue consistently. It’s leveraged because you can spend the time to create the product, partnership, and systems once, then turn them on to have sales on repeat. It does take time to put in place, to market consistently, and to refine the systems, but it allows so much more freedom in your business. Affiliate marketing: promoting a product you love that benefits your audience in order to take a commission when your audience purchases through your link. Leveraged partnerships are great because they are the most hands-off. You are able to set up some simple content or systems that drives leads to the desired action so you can earn income. These are products you create one time and are able to sell over and over again. These systems allow you to automate that nurturing process so you don’t have to physically be there to make sales or talk to prospects. It is a great way to leverage your time, but it does take a little more work on the front end to create, setup, and refine the systems. If you have little time or are looking to build a business that supports the freedom you desire, leveraged income streams are an incredible tool to help you scale without taking all your time. Because of leveraged income streams like partnership and products, I am able to put in about 20 hours per week in my business so I can still keep my family first while also impacting more people than I could with my time alone. And I’m so grateful for that.